An apparent spec sheet for LG’s upcoming V35 ThinQ has leaked online. 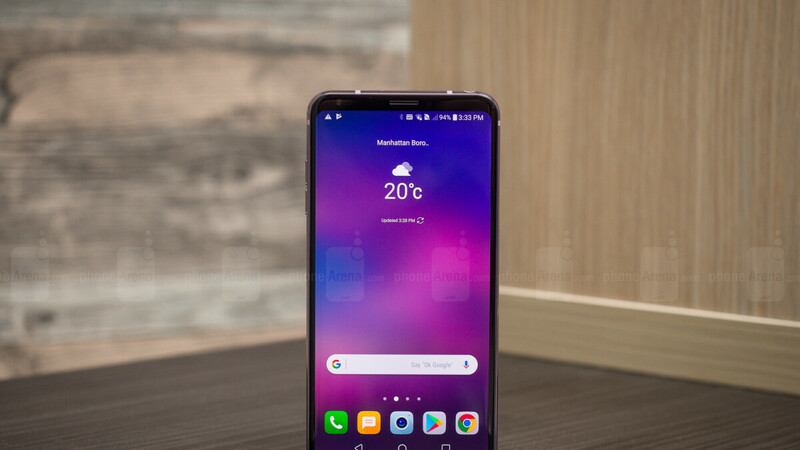 The South Korean company is currently expected to launch its latest LG V30 variant towards the beginning of summer and, after it recently received its official certifications in the US and Russia, a new spec list gives a glimpse at what can be expected from the device. Looking at the specs in question, the 6-inch OLED display featured on both the LG V30 and V30S ThinQ will be making yet another return with the same resolution of 2880 x 1440p. Perhaps in a more interesting move, however, the new smartphone looks set to receive a major internal upgrade. This comes in the form of the new Qualcomm Snapdragon 845, which will replace the Snapdragon 835 seen in previous V30 devices and also happens to be featured inside the LG G7 ThinQ. Additionally, the upgraded processor will be coupled with both 6GB of RAM and 128GB of internal storage which will be expandable via microSD. Nevertheless, a variant with 256GB of storage could also be a possibility. Over in the camera department, the LG V35 ThinQ once again is listed as boasting the same hardware as the G7 ThinQ. This means a main 16-megapixel rear camera with f/1.6 aperture will be present alongside a secondary 16-megapixel wide-angle lens. These will be accompanied by a Dual-tone LED flash, and laser and phase detection autofocus. Also, up front, the same 8-megapixel selfie camera seen on the LG G7 ThinQ looks set to be featured. Oddly, though, the spec sheet in question lists the device as sporting a 3,000mAh battery, matching the power pack featured inside the G7 ThinQ. However, this is 300mAh smaller than the battery featured inside previous V30 smartphones, thus putting in doubt the veracity of this leak. Nevertheless, on the software side of things, the LG V35 ThinQ is listed as shipping with Android 8.1 Oreo straight out of the box. They mean G7's front camera. 3000mAh? Rly LG no 4000mAh or 3500mAh. You're stupid enough to believe something that's not yet official. LG don't know what the hell to do. I really hope that they will use new version of their OLED screen. The V30 with current specced SOC and a decent front facing camera (from the G7) will be the ultimate flagship out there. Very interested! They can totally do larger batteries with their power x devices with a pretty slim profile...what gives LG? Looks fake to me. No way they would cut back the 3300mah from the V30. Its essentially the same chassis, just more ram and SD845. Maybe they decided to use a 3000mAh battery just to tell people that they don't need a lot of battery capacity to guarantee a full day of usage.